This southern adventure begins in New Zealand's adventure capital of Queenstown where you can spend your first two days experiencing the range of adventure activities on offer. From here continue to Mt. Cook National Park and get up close with the mountains on a stunning scenic flight. Further north, take in the beautiful landscape surrounding Christchurch and Akaroa, then loop back around to the beautiful city of Dunedin. Finish your tour with a spectacular cruise through Milford Sound, then return to Queenstown to relax and explore a little more after an incredible 11 days. 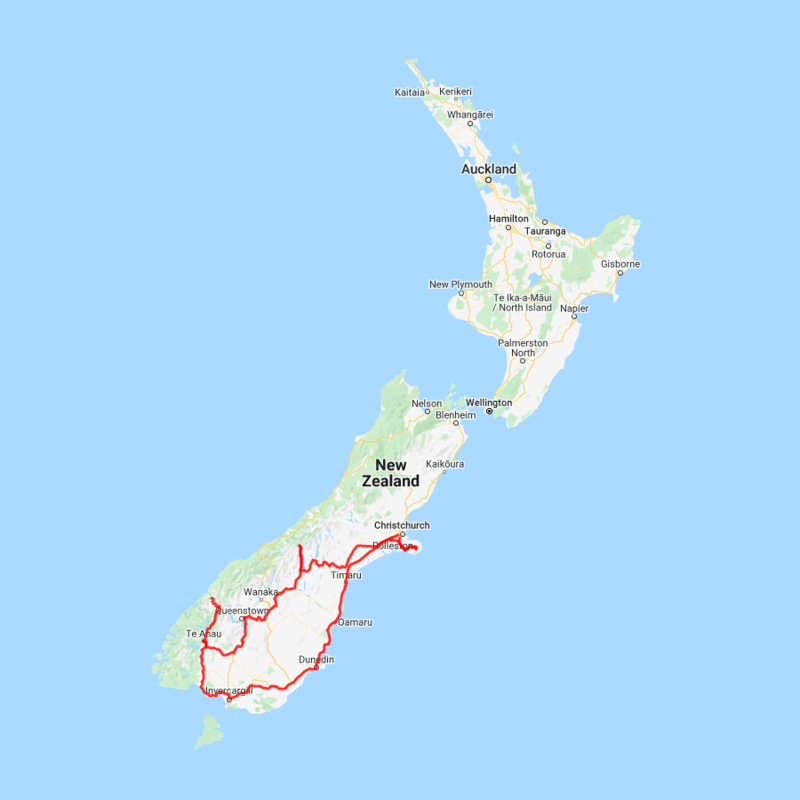 You can expect to spend around NZ$266 in fuel cost on this itinerary based on an intermediate sized car. Collect your rental car and explore Queenstown and surrounds. This afternoon take a thrilling jet boat ride. Crossing the vast Canterbury Plains as you head South, State Highway 1 crosses many braided rivers that start their life as glacial melt water high in the Southern Alps. New Zealand's longest bridge at Rakaia crosses such an example. The towns of Timaru followed by Oamaru are worth a short detour to the town centre. The town of Oamaru is most famous for its buildings constructed with the unique locally quarried white stone. Explore the old quarter or if you don't mind a late arrival into Dunedin then stay around to see the blue penguins come ashore at dusk. Just a little further south and you arrive at Moeraki and its famous Moeraki Boulders. Following a look at these incredible and unique geological features don't miss taking a late lunch or coffee and cake at Fleur's Cafe in Moeraki Township. The last stretch of road follows the coastline before crossing the hills and descending into the city of Dunedin.